Thank you all my sweet friends for your beloved supports and comments... Please continue with the same to me... Ok! Now I posting Milk Powder Peda, Yeah! I love milk sweets much much much better than any other sweets... 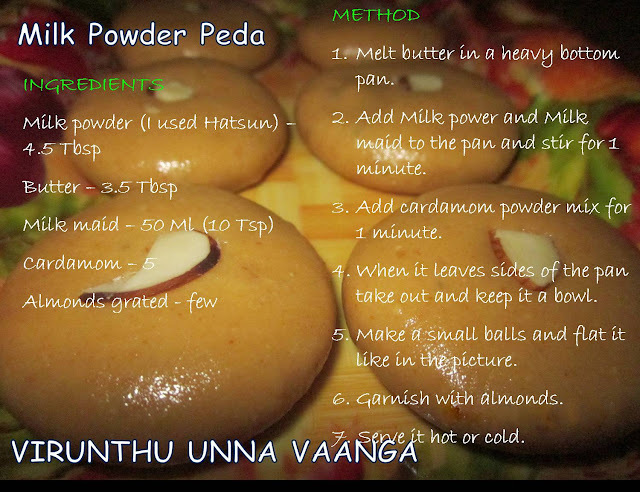 So here I give visual treat to you all with this simple and delicious Milk Powder Peda... Have it dearies!!! Melt butter in a heavy bottom pan in low flame. 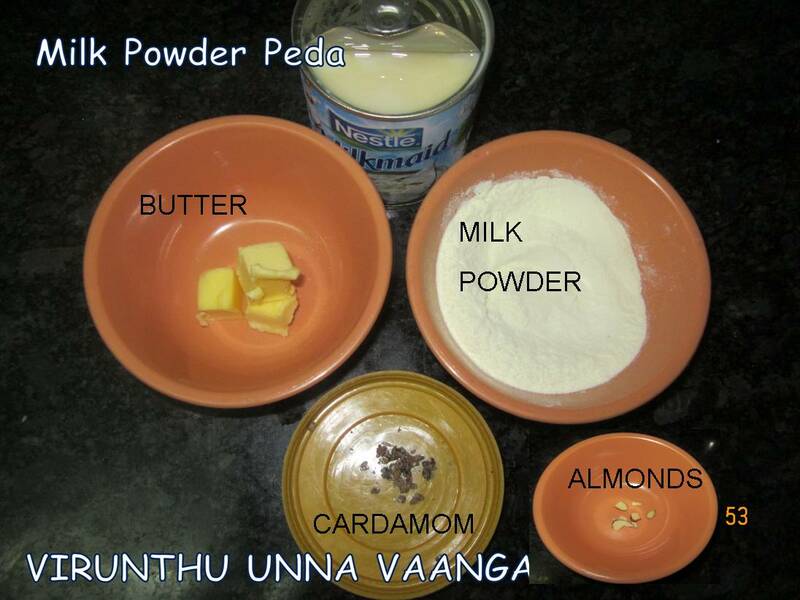 Add milk powder and milk maid in the pan and stir well for 1 minute. Add cardamom powder to it and stir well for 1 minute and switch off the flame. After nicely mixing take out from the pan and keep it in a bowl. Grease a plate and keep it ready and make small balls and flat it like in the picture. Now arrange in a greased plate and garnish with almonds. SO YUMMY N DELICIOUS PEDA FOR U ALL!!! Garnish with Pistachios, almonds and cashew nuts. It will bit sticky while warm after cooling it will be in nice texture. Actually it will be in white color but in my case milk powder slightly roasted in a butter that's why this color, but taste was so so so delicious. YOU CAN SAVE IT FOR QUICK VIEW!!! 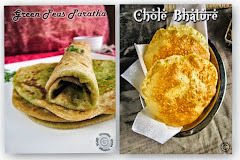 yummy and it looks so tasty delicious and well atleast no sugar or jaggery syrup..
Congrats! The pedas look cute and lovely! Looks so yum!! LOve it..
Congrats dear on the 100th post..
congrats on your milestone viji.. liked your version..
Congrats dear!!! I love this peda very much!!! That too if my great granny's prepared Woww... Mouth watering dear. Yummy yummy sweet!!! 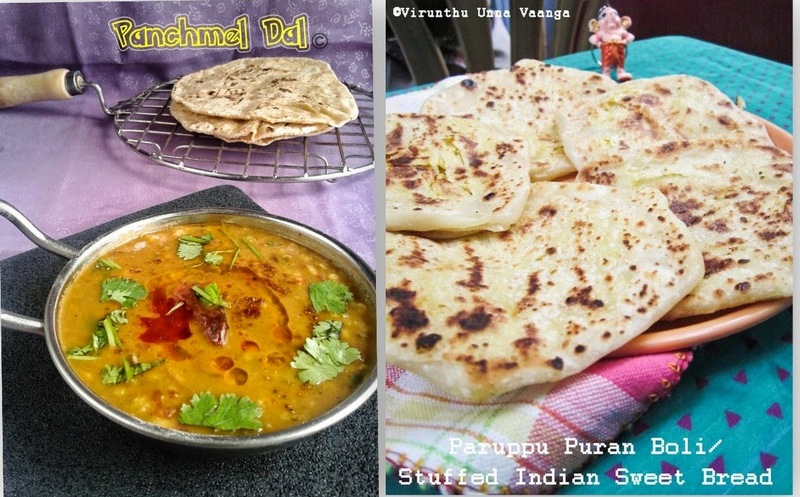 Congrats on ur 100th post, irresistible pedas,prefect for the celebration. Thanks for linking it up to my event! !